Global stock markets fell sharply on Tuesday as the trade clash between Washington and Beijing intensified. The pain was greatest in Asia: The Shanghai Composite closed down 3.8% and Hong Kong's Hang Seng dropped 2.8%. Benchmark indexes in Tokyo and Seoul also sank. In Europe, stock markets posted declines in early trade of 0.5% to 1.5%. US stock futures were under pressure, too, with the Dow showing a loss of around 1.5%. 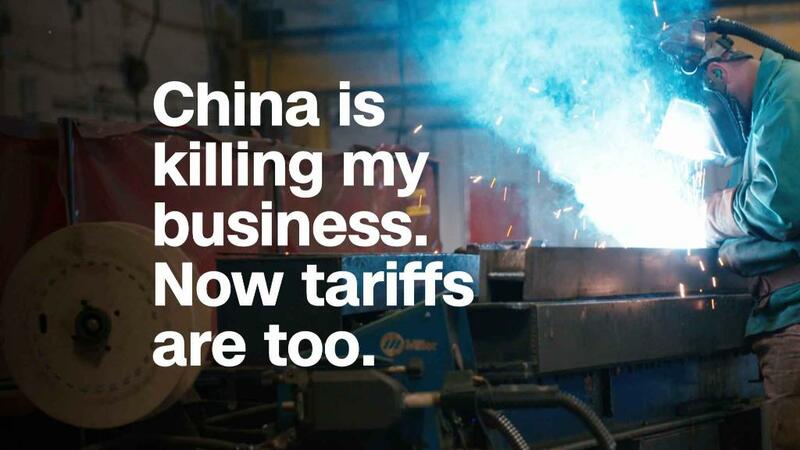 The declines came after a series of moves escalating the brewing trade war between the United States and China, the world's two largest economies. President Donald Trump threatened late Monday in the United States to impose tariffs on an additional $200 billion worth of Chinese goods if Beijing goes through with its promise to retaliate against the US tariffs announced on Friday. The Chinese Commerce Ministry responded that it would "strike back hard" with "measures that match the US move in quantity and quality." Hong Kong and mainland Chinese markets had been closed Monday for a public holiday, so they were reacting to the flurry of announcements from both sides that came after they had shut Friday afternoon. The latest threat from Trump darkened an already negative mood in stock markets, according to Stephen Innes, head of Asia-Pacific trading at online futures brokerage Oanda. "Buckle up, as this could get messy," he warned in a note to clients. The trade worries have helped push Shanghai stocks to their lowest level in about two years. Investors have also been concerned about signs China's huge economy is showing signs of slowing down. The heaviest hit sectors in the index on Tuesday included telecommunications and technology stocks.